Tradition is a term that gets bandied about a lot. But if there's one company in the shoe industry that can truly lay claim to this term, it's BIRKENSTOCK. 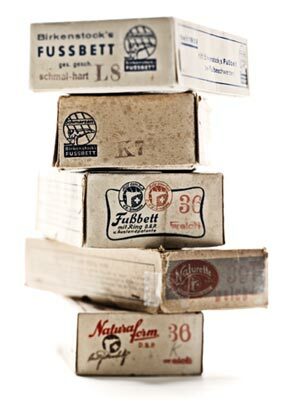 BIRKENSTOCK has been making shoes, insoles and shoe components for six generations. The success of the family company is rooted in its commitment to the art of making orthopedically inspired shoes. Over the centuries, it has built up a wealth of unparalleled experience that it has passed down from one generation to the next, with each generation cultivating and expanding this knowledge. BIRKENSTOCK constantly strives for innovation in shoemaking – and yet it has always remained uncompromising. Without BIRKENSTOCK, the comfort shoe market as we know it today would be completely different. BIRKENSTOCK invented the footbed and has also shaped the meaning of the term "footbed". The footbed is not only a unique, revolutionary product concept that paved the way for a completely new market. It's also a core idea and a reference point for everything that we do. Now and in the future. BIRKENSTOCK stands for excellent comfort, high functionality and extraordinary quality. The high level of quality is the result of carefully selected, high-quality materials from sustainable sources that are processed under the best conditions for our brand. BIRKENSTOCK products improve wellbeing. They literally do good. And they do what they promise. So they stand out from the flood of cheap products that dominate large parts of our consumer world today. Those who choose an original BIRKENSTOCK product are also taking a stand against brand and product piracy, that also comes with considerable negative implications for people and nature and the economy. We would like to thank all of our customers who support us with their purchase decision.